Sabbatical years are adhered to by devoted Jews everywhere. Last Sabbatical was 2014-2015 AD. And now for some background. 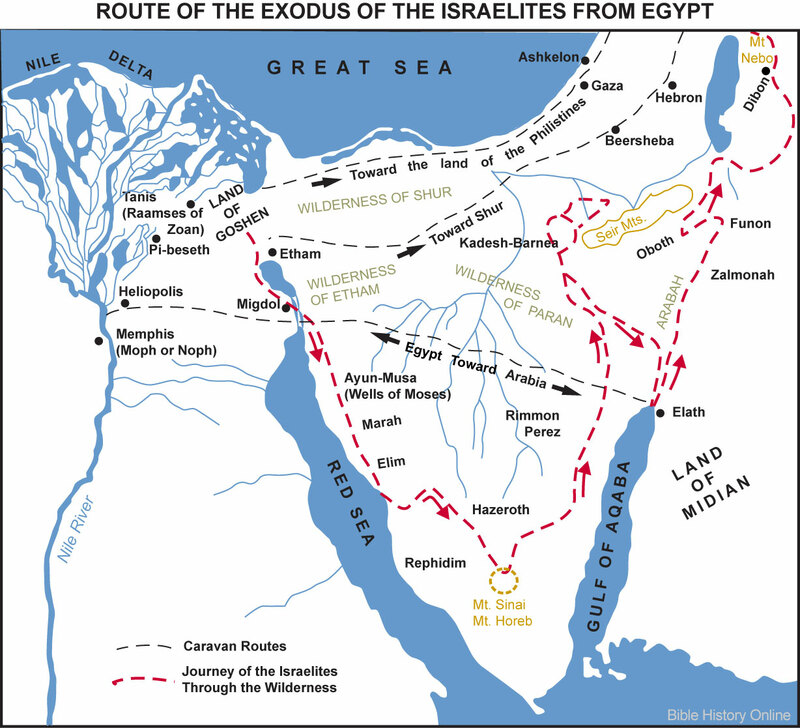 After 38 years in Kadesh-Barnea, we read in Numbers 20:24-29 of how Israel travelled north-east for a day's journey into Mount Hor, an unmarked mountain on the western border of Edom (Mount Seir). Click here to see a map of this area. There Aaron died in the fifth month of the 40th year (i.e. July/August 1466 BC) see timeline. From Mount Hor, Israel came south around Edom and Moab via the Red Sea, and started taking possession of the land on the eastern side of the Jordan River, see Numbers 21. Six/seven months later Joshua crossed the Jordan River and took Jericho in March/April 1465 BC. 1466/1465 BC was "technically" the year Israel took possession, or year zero, 3479 years prior to the last Sabbatical — there is no year "zero". The first year of planting was then 1465/1464 BC. In the sixth year 1460/1459 BC, Joshua is 85 years old (Joshua 14:10) and he divvies up the land. Click here for a map. The land now has rest from war, the people work hard and, according to God's blessing in Leviticus 25:21, harvest three years of crops. The first Sabbatical when all debts were cancelled and the land lay fallow thus came in 1459/1458 BC. This was a good system for legal contracts with everyone acknowledging "year numbers". Also requiring forgiveness i.e. favour mercy and help from God, with the Lord monitoring each person's heart. But with the same rules applying to everyone. The seventh Sabbatical came 42 years later in 1417/1416 BC. 436 BC the 70th year from the destruction of Solomon's temple and Darius's command to restart its rebuilding. See Zechariah 1:12, Ezra, Haggai. 6 AD This 30th Jubilee year in 6-7AD is famous for being the second census of Quirinius, and of Judas of Galilee (the Zealot)'s rebellion — mentioned in Acts 5:37. It followed the first registration in 2BC, according to Luke, when Jesus was born. 1966-1967 AD and most recently, the freeing of the old city of Jerusalem during the six day war — June 67.